Some of my friend and colleagues have reported the same problem. 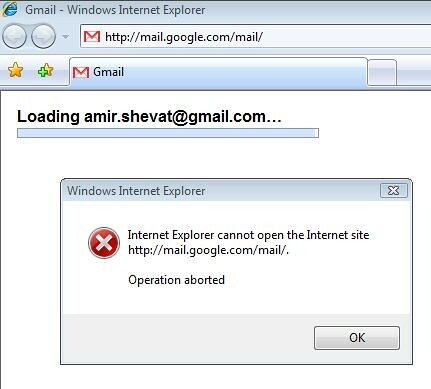 maybe it is a Internet Explorer problem. In any case Google should fix this. It is never shame to defeat Microsoft using the way she used against others. Personally I seldom use Internet Explorer. Developers should always consider browsers other than Internet Explorer. Next story Language syntax’s, performance, PHP, Ruby, Java and who’s better? Ahhhh!